This incredibly integrated sink was custom-created for a private residence in Palm Beach, FL, designed by Enda Donagher of the wonderful New York interior design architecture firm, Martell-Donagher, LLC. 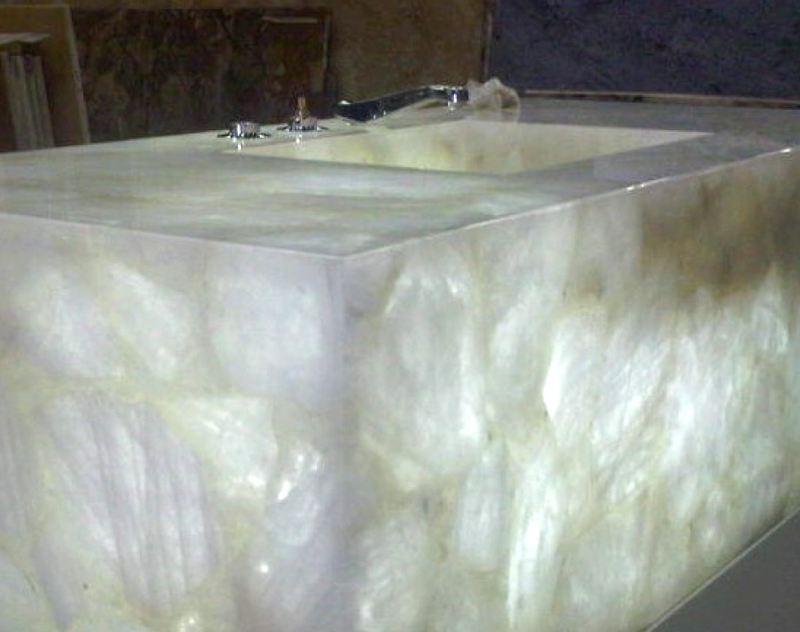 This masterpiece of stonework Used nine individual pieces of translucent White Quartz from Cumar’s Semi-Precious Stone Collection. Dawn collaborated with lightning designer Barbara Bouyea while fabricating the piece to perfectly light the stone from all angles and create the cloud-like illusion.